The distance between Bangladesh and Palestine is 3384.95 miles. In summer 2014, ‘#SupportGaza’ was the tool many of my friends and I used to express solidarity with Gazans in social media. Can we learn from that experience and use social media to raise awareness about the struggles of people in the Chittagong Hill Tracts more effectively? 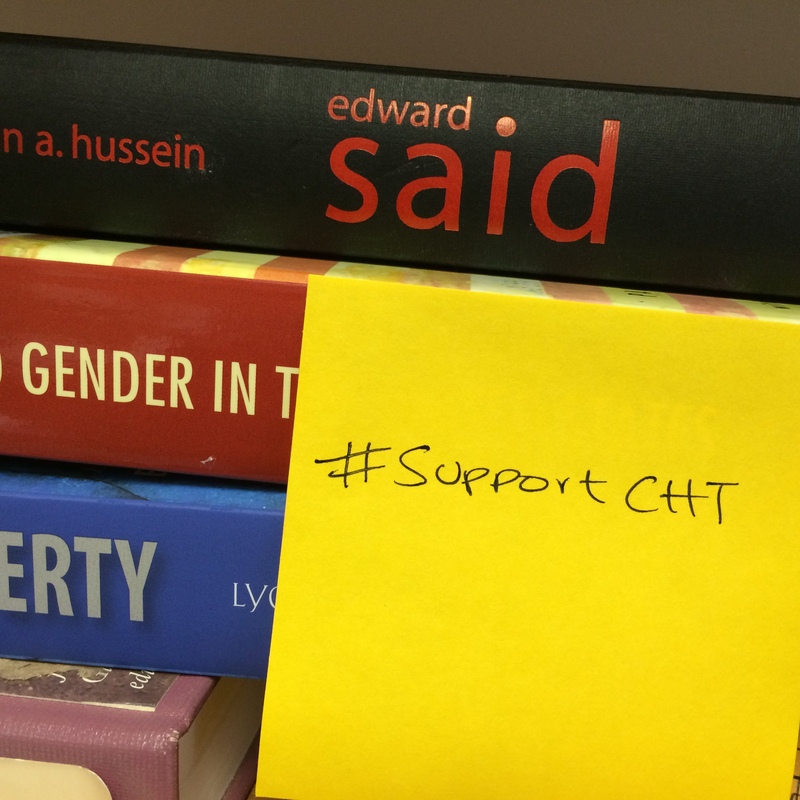 Why have we never had a ‘#SupportCHT’ hashtag? How many of you have heard about the 8-year old Marma girl who was raped in Rangamati a few days ago, on January 14th? If you did hear about her, what did you do? What did we do when 50 houses and shops owned by Chakmas were burned down on December 16, 2014? I strongly believe that we need to take more initiatives to raise awareness about and ensure justice in the CHT. We rarely see or read about non-Bengali Bangladeshis in the local and global media, but we can use social media, whether a hashtag or awareness campaigns, in order to construct a future that reflects the ideals of justice and equality that we often claim to champion. Media exposure plays an immense role in highlighting any issue and building public opinion. Compared to Gaza, the CHT issue barely gets any media exposure, be it in local or global media. Media, all across the world, provided extensive coverage to the Israeli attacks and their effects on civilians in the Gaza Strip. Many Bangladeshis posted and shared images of the horrific pain and suffering, as well as resilience, in Gaza. According to Jean Jacques Rousseau, “people have an innate repugnance at seeing a fellow creature suffer.” The key word here is ‘see’. Bangladeshis saw the sorrow of Gazans and developed compassion for them. Perhaps this explains why so many people felt compelled to share the images – they wanted to use the images to convince other people to show solidarity with Gaza. In contrast, media coverage of events in the CHT is scant. The mainstream media does little to build compassion and empathy for the victims of human rights violations in the CHT. We rarely see the news or faces of those who suffer injustice in the CHT. We have a pressing responsibility to increase awareness of injustices in the CHT, because whether Bengali or non-Bengali, we are all citizens of this country and need to support each other. Some may argue that ethnocentrism, rather than differences in media coverage, fuels Bengali Muslims’ attention toward some issues over others. Perhaps Bengali Muslims felt compelled to support Gazans in a global context where Muslims feel marginalized and powerless and where there are numerous calls for Muslim unity. Muslims in Bangladesh may see their fate as tied to the fate of Muslims elsewhere. But that raises an important question about reciprocity. If Muslims want non-Muslims to respect Muslims and their rights in Palestine, Israel, the US, and Europe, shouldn’t we set an example and ensure the rights and security of non-Muslims in Muslim-majority countries? Does Islam forbid Muslims from helping non-Muslims? Aren’t we as Muslims supposed to oppose, speak up, and act against injustice wherever we see it? Is it consistent of us to demand that non-Muslims protect the rights of Muslims in Gaza or elsewhere, if we fail to secure the rights of non-Muslims in Bangladesh? We applaud initiatives such as #illridewithyou in Australia that seek to express solidarity with Muslims, but why doesn’t that inspire us to initiate similar initiatives? We need to move away from narrow definitions of identity that are simply inadequate in a globalized and interdependent world. Ultimately, we need to demand and give respect to others as human beings, because that is our common denominator. We cannot afford to ignore injustice in the CHT. As citizens of Bangladesh, a country born of a struggle against discrimination and marginalization, all of us have a moral obligation to stand up for justice. With social media, we don’t need to rely solely on mainstream media to raise awareness about the CHT. We can use social media to support government and human rights initiatives and inform people about developments in the CHT. We need to educate ourselves about human rights struggles in our country and beyond, so that we can live up to Bengali, Islamic, and/or secular ideals of justice. Jumma citizens have struggled for their rights for a very long time, but their struggle should be the struggle of every Bangladeshi who wants a just and egalitarian country. We need to merge the gap between Bengali and Jumma citizens through campaigns and initiatives to ensure a brighter future for our country. Let’s show ourselves, and the world, that even when the balance of power in a country favors Bengalis and Muslims, we continue to stand up for human rights and justice. Nalifa Mehelin is a first-year undergraduate student at the Asian University for Women.